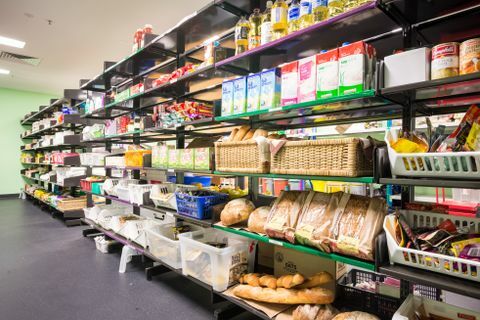 The ASRC Foodbank is a free grocery store inside our Footscray centre which provides food and essentials to over 700 people seeking asylum and refugees each week, most of whom have no income. ASRC Foodbank relies heavily on community donations with almost 90% of food and essential goods coming from gifted food. 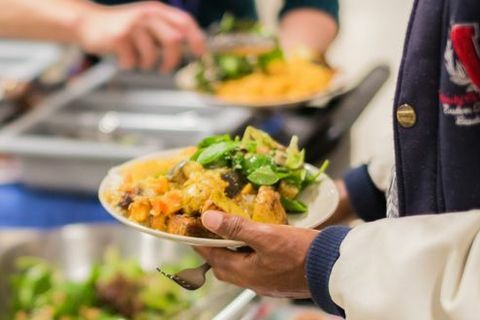 Community meals is the heart of ASRC and the place where people seeking asylum, volunteers and staff at the centre gather each lunch time to enjoy a meal together. Hot meals are served five days a week to around 240 people, that’s over 61,250 meals a year. For many people seeking asylum with no income and no permanent or appropriate housing, Community Meals is their only hot meal for the day. Community Meals is run by a team of 65 volunteers and 10 volunteers seeking asylum who work in the kitchen to prepare and cook meals every day. On Wednesday evenings a full team of volunteers seeking asylum cook culturally traditional meals for the night-time Legal Clinic, Innovation Hub and Health Clinic. Harvest of Hope Market Garden is an urban farming initiative providing fresh produce to the ASRC Foodbank and Community Meals programs. The initiative came to life in 2017 following the donation of land access and infrastructure by a generous Melbourne farmer on his farm in Clayton South. The garden is tended two days a week by a team of dedicated volunteers, including ASRC members seeking asylum who use the opportunity to share their skills, unwind and connect with others in the community. 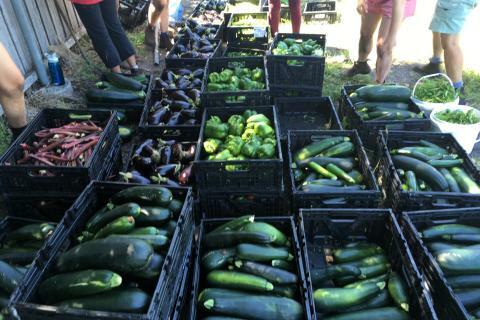 The estimated retail value of the Harvest of Hope Market Garden crop at the end of the 2018 summer was over $30,000, with the garden producing, in peak harvest time, up to 40 crates of fresh produce for the ASRC each week. 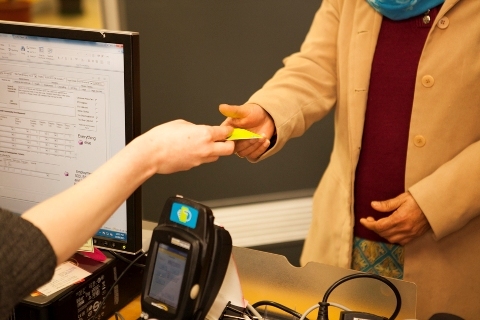 The ASRC provides practical, material items to people seeking asylum who are experiencing financial hardship. The program provides a variety of essential items including Myki credit, international calling cards, mobile phones and gift cards to buy household items urgently needed. The program also builds and maintains relationships with external agencies to ensure the ASRC has referral pathways to other organisations that can provide complementary and supplementary materials to meet our people’s needs.